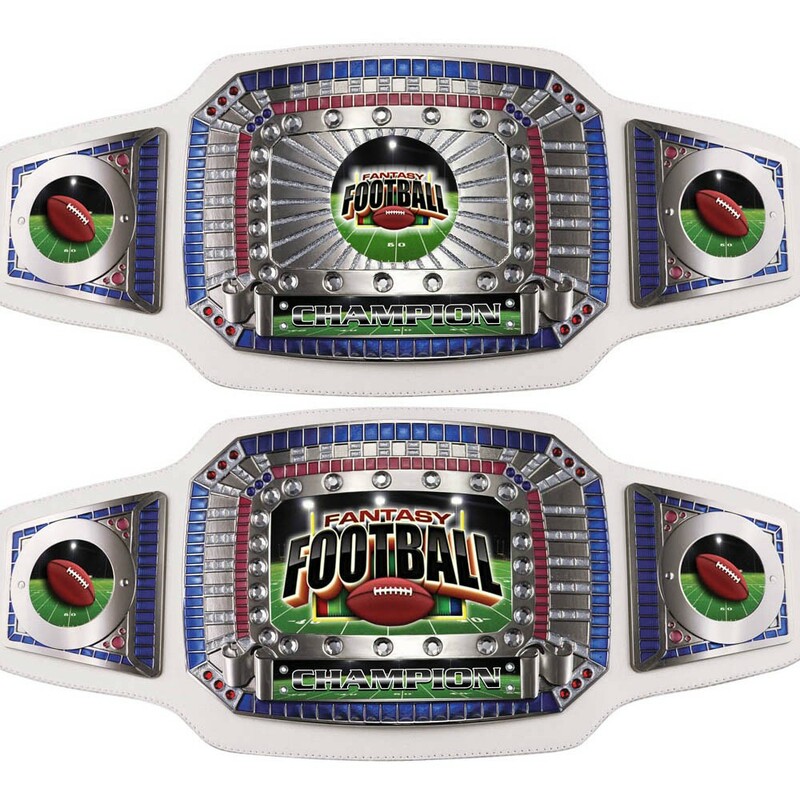 The Fantasy Football Championship Belt makes the ultimate title belt for your league champ! This epic heavyweight fantasy football championship belt measures 52" wide and 10" tall with 8 rows of heavy duty snaps for closure. It features a 9 3/4" by 7"center plate with the words "Fantasy Football" surrounded by 42 synthetic gemstones and a glitter epoxy border. The crown jewel of your next fantasy football draft, choose gold plates with black leather or silver plates with white leather. 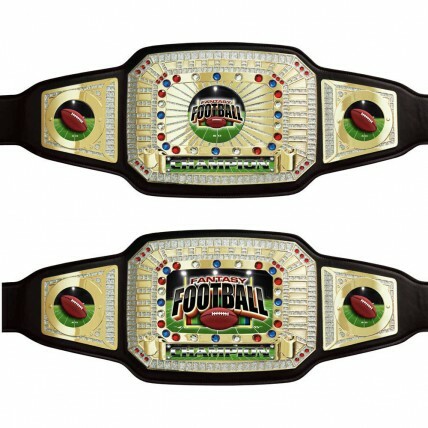 In your choice of two fantasy football championship belt designs. Includes elegant, satin lined box for presentation. Note: This fantasy football champ belt does not have engraving and cannot be personalized. For a customized version of this belt, visit our Custom Fantasy Football Title Belt!